Kodaikanal - what does it actually mean? 'A Place to see in Summers', 'The End of the Forest', 'The Forest of the Creepers', or a place associated with the mythology of Goddess Valli (Wife of Lord Murugan) found here- it could be any of the above, all of the above or none of the above but one way or the other all these relate to this beautiful hill station in Tamil Nadu. One can predict this by going to the lexical history or etymological deductions made on the basis 'Kodaikanal' as a word is written, called and understood. 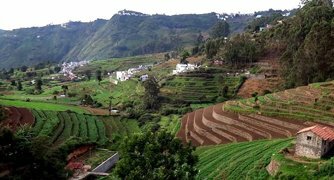 For those who have never been to Kodaikanal hill station in the south of Pallani Hills, it is like the greens of the mountainous landscape are soaring to sky meeting the grey-white clouds. Sun seems to be playing peek-a-boo with those clouds and the shadows formed as a consequence complying with the rules of the game of Nature thus created. The rock brothers seem to be standing together and supporting the trees with their strength on the altitude ranging up to 2,133 m. The pine forests where rows and columns of trees make confusing way in and out create a natural maze of sorts. And somewhere there, small and big lakes will draw mental attention followed by physical presence of the onlooker. This is but a small glimpse in a town with its own sanctity and serenity to exhibit. The history of the place has more to say that could be summarized in a single space. Residence of tribal population later shaped by arrival of American missionaries followed by the British and the story of development goes on. 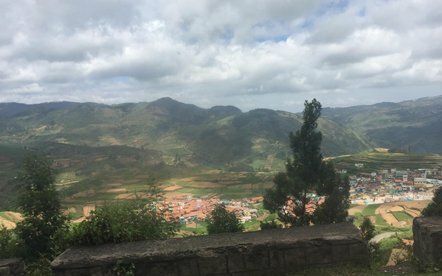 Yet with all the changes becoming a visible part of this hill town, who would mind being a part of Kodaikanal tourism; probably no one! Lord Muruga is the presiding deity of the temple, who is believed to be the God of hills. Devotees and tourists are bestowed with the views of Vaigai dam and Palani hills. A temple of Goddess Shakti, it is well known for a 15 days Panguni festival. The temple is in the proximity of Kodai Road Railway Station. Not located exactly in the hill station, it is 64 Km away but a must see if one has come up this far. 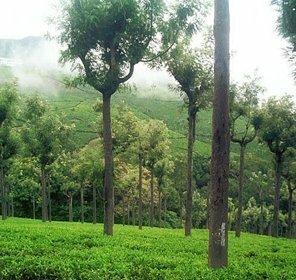 It is also known as Palani hills. Came in to existence in 1895 by the efforts of American Madurai Mission. One can still look for signs of ages on this religious refuge. Year 1932 saw this place of worship coming in existence and since then it Gothic styled architecture has been subject of studies and motivations, a beauty indeed. boating allowed, most of the distances around is measured with respect to it. Boating is banned due to the drinking water resource it supplies to the villagers. Just 2 Km from the Kodai Lake, the place is a real beauty, especially during the monsoons when the fall gets strengthened with the rains. If relics of art and crafts are a much appreciated 'something' of life, this museum which is a part of Sacred Heart College of Kodaikanal has to be visited. Rare birds, flowers add to the list of reasons to visit it. Anthropology as a real-life subject could be seen in this place where the burials and dwelling of Stone age and ice age. Better known as a part of Indian Institute of Astrophysics, it is of special interest for the individuals drawn by the planets, stars, galaxies, etc more than anything else. With the payment of a minimal fee, one can experience what is to be like behind a telescope seeing some of the wonderful sights of Kodaikanal, valley, lake, etc. Once barren land now converted to farm by the use of natural things like compost, manure, etc, it is known for growing fruits organically. Moreover, it also doesn't take power from grid but employs solar energy for usage. On the way to reach the scenic hill town of Kodaikanal, this is the first sight that falls in the purview of sight on Madurai Kodaikanal road. The fall is 180 ft high. Also known as Rat Tail Falls sourcing water from River Manjalar, it could be reached only after a very challenging hiking. Only people with some prior experience should take the challenge and that too not in monsoon as the danger gets increased manifold. Liril Falls as it is called after the ad for Liril soap filmed here is one of the well known water attraction in the area. The fall is worth seeing only during monsoon for the stream to be strong and clear. Named after the British officer who is credited with the conception of the idea of its creation- Glenn Bryant, the botanical park is only a short distance away from the Kodai Lake visited mainly in summers. On the way to Kurinji Temple during Kodaikanal tour, it takes a little exploring on the route and this neat and clean park could win hearts of the tourists. If wondering that who had put the place on the map, it is none other than Lt. Coaker. His name is thus borrowed by this walk which is great for immersing into the sights this hill town offers. The straight rocks of granite appear like pillars and thus being referred to as Pillar Rocks. The place is great for a panoramic view at the height of 400 m.
This is another place of interest if not exactly an attraction located between the pillars of Pillar's Rock. Deep and dangerous, these are dark pouches of space that are known to be bat-infested. Portraying the truth in the phrase- 'beauty and the beast', the danger of the valley represent beast but the scenic appeal is the beauty that rarely could be matched with other spots. As with all the valleys, this one also gives great sights to remember forever, especially for the early morning sunrise and late afternoons. Situated on the Berijam Lake road at a short distance away from Pillar's Rock, get the treat of Nature here. After a real tough leg work on the hilly terrain, one can reach to a rock that appears to be in shape of nose resembling to Dolphin's. But the trek takes to worthy sites in the lap of green depths of divinity. 3 Km is not a distance when exploring places are on mind. 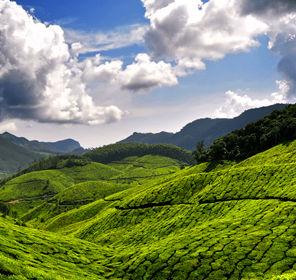 This hill station is near the famed Kodaikanal- all the more reason to add it to the vacation planning. 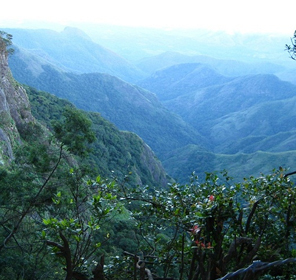 This city is only 40 Km from Kodaikanal and people often see it before. Known to be located on the banks of River Vaigai, it is revered as temple town for the presence of Meenakshi Sundareswara temple. 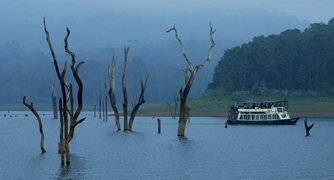 Better known for the wildlife sanctuary and lake by the same name, Thekkady has lot many things to exhibit to those who are interested. Take time out to make the best of the vacations. 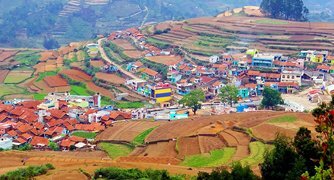 A village just 9 Km away from Kodai Kanal is a must see along with other attractions of this region. Hotels in Kodaikanal must be booked before heading for the journey as place is loved by people of all the age groups and of all the groups be it of family, friends, corporate and students. The reason for which solitary individuals and couples opt for Kodaikanal honeymoon can be understood with any speck of doubt. Thus, considering all these demands, making prior booking for coming vacation is required as well as recommended. 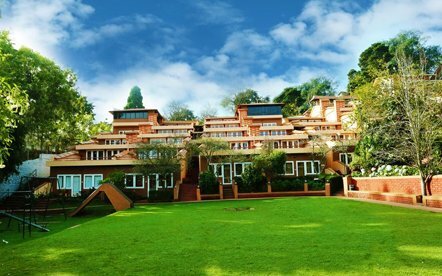 Some of the hotels and resorts that could be chosen for the purpose of accommodation are Kodai International Hotel, Sunrise Hotel, Richwin Hotel, Kodai Resort, Villa Retreat, Snooze Inn, Hill Country Kodai, Spring Valley Hotels, Kodai By the Lake, The Carlton, Apple Valley and many more could make a way to this list. 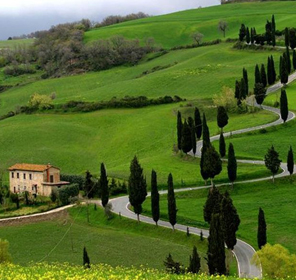 Escape monsoons and extreme winters of this place and generally this hill city is worth any price. However, lover of monsoon might not want to opt out of these seasons, especially if they love waterfalls in first place because this is the times falls gain peculiar splendor. Air way can take to Madurai which is 120 Km which is nearest to Kodaikanal. Other airports are Coimbatore and Trichi some 170 and 195 Km respectively. Kodaikanal Road railway station is the nearest railway station and connected with many others making it easy to reach Kodaikanal. 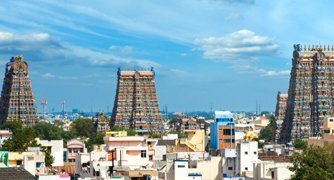 Most of the important towns are connected to this tourist important place Like Madurai, Theni, Bangalore, Chennai, etc.